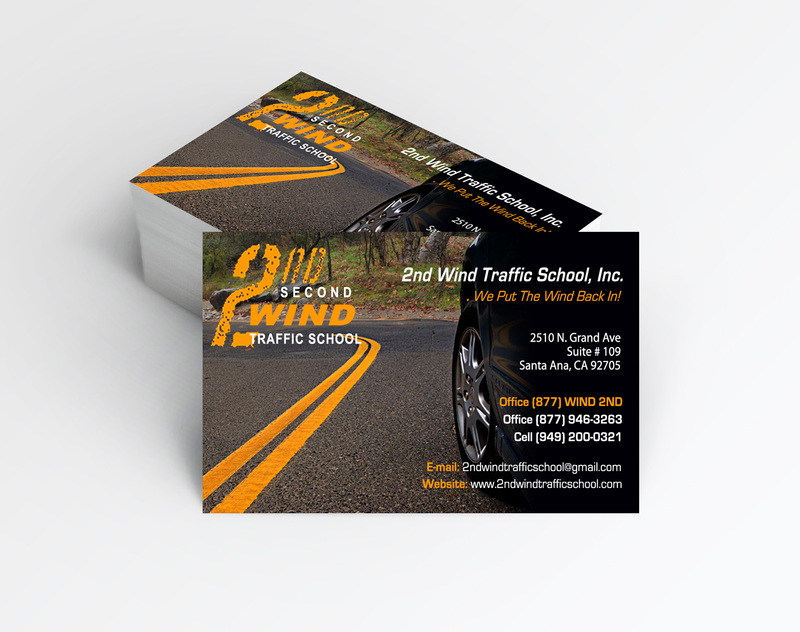 2nd Wind Traffic School, Inc.
2nd Wind Traffic School had a very specific business card design in mind. We worked with them to create their vision from scratch. Going a little further than the typical business card design, we used our photography expertise to create the car and street image with the perfect curve and lines.